Have you ever considered selling makeup from home? Of course you have, because what’s not to like? Makeup is fun, profitable, and popular, and when you sell it from home you’re not only giving yourself freedom, but you’re taking up a business that you can actually stand behind. In this article, we’re going to explore some of the best services that allow you to sell makeup, skincare, and home goods on your own time, make money, and also dive into an exciting industry that never quits. Selling makeup from home is a highly sought-after job. What makes it so lucrative is that cosmetics are a consumable product, and that means that everyone is always running out of things and needing to replenish. Seems like a no-brainer. What that means for you is that if you get a number of loyal customers that buy from you, these repeat sales can lead to an exciting profit, and meaningful relationships. Starting your own cosmetics business from scratch is expensive, and it’s painstaking. Becoming a consultant for one of the many direct selling companies that are out there is going to save you time and money, because there’s very little upfront cost. Also, because there are a number of diverse options to choose from, you can select a brand that you jive with. For instance, looking to sell an all-natural skin care brand? Anti-aging? Highly affordable? There is an option out there you can stand behind and believe in. Once your business is up and running, you’re going to be excited to see that lucrative commission every month. 1. Avon – This was the brand that started it all. Avon revolutionized direct sales cosmetics when it was introduced in 1886. You heard that right: 1886. They have a number of new and exciting products each and every year, and they also release catalogs every two weeks. That means that not only do they provide you with quality products to sell, they also get their brand out in front of consumers on a consistent basis, making your job even easier. They offer a low enrollment cost, and a very high commission on sales. 2. Mary Kay – After Avon, everyone thinks of Mary Kay. They were founded in 1963, and they offer an exciting line of not just cosmetics but also skin care products. With a 50% commission on sales and also the opportunity for bonuses, many women find Mary Kay to be a very profitable endeavor. If you really sell it like you mean it, you might end up with a pink Cadillac. 3. Arbonne – For those who really prefer all-natural products, Arbonne is going to be the right choice for you. They’ve been offering extremely high-quality skin care for over 20 years, and the brand has a cult following. They use only 100% natural ingredients, and they’re most famous for their anti-aging line. 4. Jafra – Jafra has always been a company that has sought to empower women through sales, and the self-confidence that goes along with it. They were founded in 1956, and their brand was inspired by one simple ingredient: royal jelly. Jafra is very inexpensive to start selling with, and they offer fun incentives that go way beyond money, such as free products, trips, jewelry, and more. Not only is this a US opportunity, but Jafra can also be found in Mexico, the Dominican Republic, Argentina, Brazil, Columbia, Peru, Europe, and Indonesia. 5. Lemongrass Spa – Lemongrass Spa was founded by a woman named Heidi Leist who was on a quest to find the best natural products that would be safe for her daughters. Now, her company allows women like you to sell these all natural products and make a profit. You will earn a 25%-35% commission, and there are even bonuses along the way. The initial starter kit will set you back $129, but each kit is valued at over $400. 6. Monat – Monat is a great option for those that are not only interested in skin care, but hair care as well. They are a natural company that uses high-quality ingredients, and you can earn up to 40% on personal sales commissions while also enjoying promotions and benefits. The started kit is only $99, and this will include tools for your own personalized website and marketing for the first 30 days. One great advantage to this company is that there is no inventory required because everything ships directly from their warehouse. 7. NuSkin – For over 30 years, NuSkin has paid out compensations and incentives of more than 11 billion dollars. It’s easy to enroll on their website, and you don’t have to be in the US to get in on the profits. NuSkin is operated worldwide, making it convenient and accessible for all. They offer a number of different skin care lines that target various issues, so that means that their products are diverse and easy to sell. NuSkin also gets an A+ rating with the Better Business Bureau. 8. NYR Organic – More natural, safe, and ethical products! Like most companies, you purchase your kit upfront for $149, which is just about the average amount that you’re going to spend. That being said, the starter kit gives you everything that you need to launch your business, and it comes with a personalized website as well. NYR Organic is also a proud member of the Direct Selling Association. 9. Willing Beauty – Willing Beauty is famous for selling high-performance skin care that will not irritate the skin. 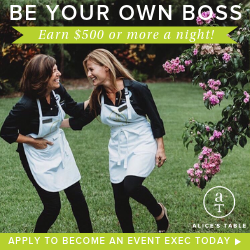 It was founded by a mother-daughter team that is passionate about good products, and they even partnered up with another mother-daughter team who founded the successful direct sales company called Origami Owl. You have a standard upfront fee, but once you get your friends to purchase, you earn rewards which you can redeem for free products. Only those in the US can take advantage of Willing Beauty’s opportunities. 10. Young Living – Once upon a time, Young Living was all about essential oils, but not any longer. Today they offer a wide range of products from home cleaning to animal care. But let’s not overlook the makeup! Savvy Minerals is their new product line, and it’s a loose powder mineral makeup that comes in foundation, blush, eyeshadow, and so much more. Perfect for those who really love natural products, Young Living sells their items worldwide, and they’re a member of the Direct Selling Association. As you can see, there are so many opportunities when it comes to starting your own independent cosmetics business, and the only hard part is deciding where to begin! As with everything, be sure to go online and read reviews before you sign up with a brand. Once you have your starter kit, you’re going to be ready to start selling, and delighted that each day you’re working towards something that you can truly believe in.